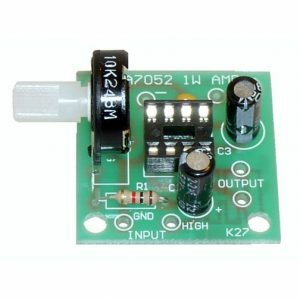 This Variable Output DC Power Supply Kit includes a 110VAC transformer and wall outlet plug, so you can get your variable power supply directly from the wall. 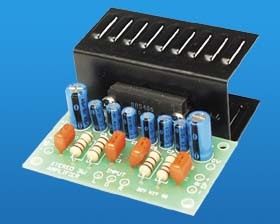 The DC Output is switch selectable for 3VDC, 9VDC or 12 VDC. 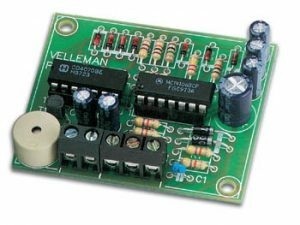 This Variable Output DC Power Supply Kit includes a 110VAC transformer and wall outlet plug, so you can get your variable power supply directly from the wall. The DC Output is switch selectable for 3VDC, 9VDC or 12 VDC. 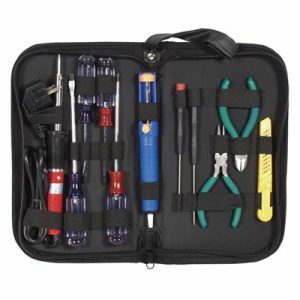 Note: This kit does not include a chassis case, but it is highly recommended that you use some type of an enclosure due to use of line level voltage. Dimensions: L: 3″ W: 2″ H: 1-1/2″. Output: 3,9,or 12 VDC at 0.2 Amps (switch selectable). Input: 110VAC (Line cord included). 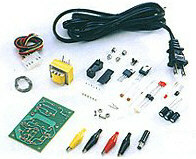 Includes all parts and components.